Speculation that Trump would pardon Manafort and Gates is probably irrelevant. Manafort and Gates’s alleged federal crimes almost certainly could not have happened without committing state crimes. State attorneys general could build cases off of Mueller’s investigation and effectively neuter Trump’s power. A president can only pardon federal crimes. 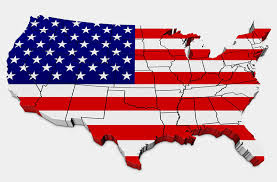 The fact that government in the United States is not based upon a unitary and national system of political power, but that the nation is composed of fifty-one, independent states, makes our national politics complex. Governing our nation has never been easy. The complexity of our political structure, however, while it does make governing more convoluted than we sometimes might wish, also makes autocracy difficult, on a national scale. Hannah Arendt, my favorite political thinker, makes very clear in her book, On Revolution, that the "genius" of American democracy is a Constitution that ensures that power is fragmented and contradictory. The three branches of the government "check and balance" each other, and the state governments provide numerous opportunities for local power to "trump" any national effort. Our current president likes to think that he is "in charge," and there is some truth in that. The President of the United States has been vested with tremendous executive powers. But in our federal system, the states always come first, which means that the president will not be able to "pardon his way out" of the situation in which he finds himself.